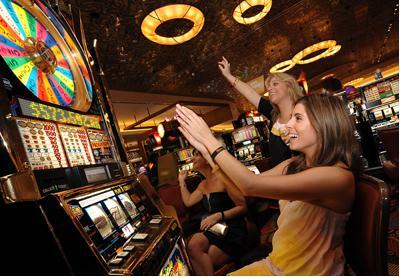 Today, slot machines have eclipsed all other gambling games and also a large part of the casino floor space. The diversity of slot machines is huge compared to the rest of the casino games in the world. Knowing more about slots is important to better understand this popular game. In addition to casinos, slot machines can be found in discos, bars, bowling alleys, race tracks, grocery stores and funfairs. They are even somewhat of an obsession in Australia where they go by the name of “pokies” and are omnipresent and available to play around the clock. Slot machines as simple as they sound are probably the least well understood of all casino games. But they are most popular with beginners and have much less strategies to think about compared to other casino games. All slot machines, including the machine slots in online casinos have a random number generator (RNG). Each number corresponds to a particular combination. All video slot machines have different game types. You can play with the straight or zigzag winning combination or diagonal winning combination or a combination of the three. The combination generated by the RNG appears on the screen once the spin is triggered. This combination is the winning combination of the game that you have selected.